Cannabis as a plant species grows wild in many places of our planet Earth. As a result, we can find a great diversity of cannabis genetics worldwide. Across the different regions where these plants are found, there are significant environmental and geographical differences in altitude, latitude, temperatures, humidity, photoperiod, etc. 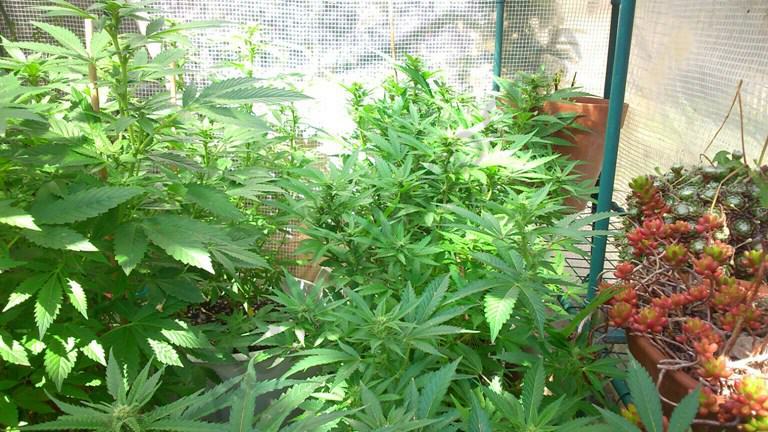 In countries closer to the tropics where cold weather is rarely experienced, it’s possible to cultivate cannabis throughout the whole year, and the Sativa or NLD (Narrow Leaf Drug) varieties that are native to this tropical region are adapted to cope with a relatively stable climate without great variations in temperature or photoperiod. As we move further away from the equator, to countries such as Pakistan, Lebanon, Afghanistan, India, Russia, China etc, weather conditions become more diverse, with clearly defined seasons and as a result, the period in which it is possible to cultivate cannabis is shortened according to latitude. 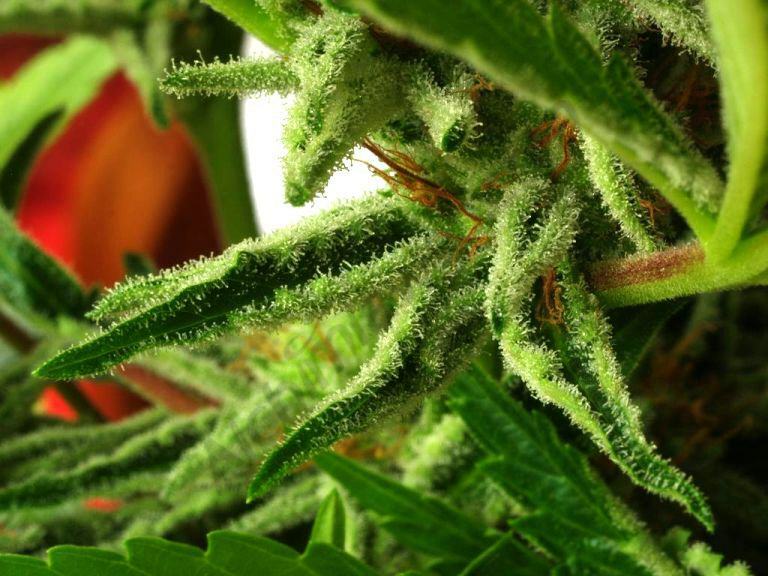 The plants native to these areas are known as Indica or WLD (Wide Leaf Drug) varieties and they are well equipped to deal with wide variations in climactic conditions affecting temperature, humidity and also the effect of the changing photoperiod on plant morphology and life cycle. 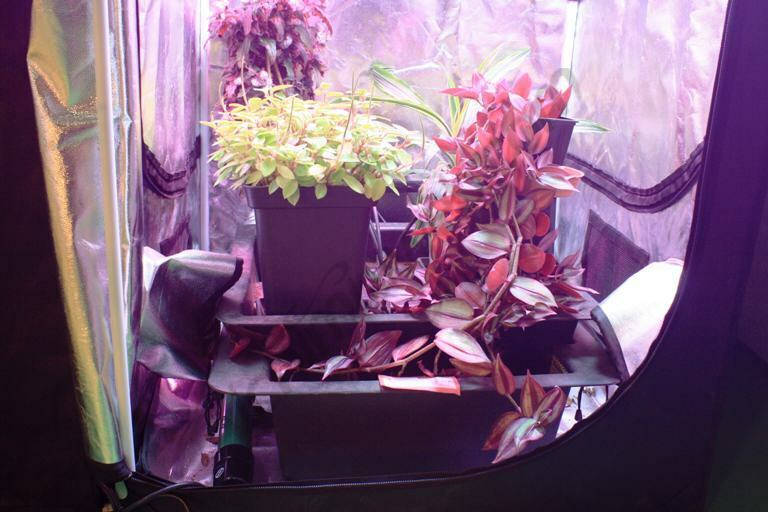 When growing indoors, these adverse environmental conditions are not such an issue, we can easily recreate the optimal atmospheric conditions needed for healthy plant growth within a small indoor garden, whether a grow tent or a small grow room. Modern indoor technology allows us to completely control all the parameters – the hours of light, the ventilation, temperature, humidity, etc, and create the perfect environment to grow cannabis throughout the year. Possible problems can arise indoors during winter if the air intake to the grow room is drawing directly from the exterior. When the lights are working, this works very well to counter-act the heat produced and cool the grow space to the ideal daytime temperature of 24-26ºC; however, at night when the lights are switched off and it gets cold outside we can encounter problems as temperatures inside fall well below the comfortable night time level of 20-22ºC. An easy way of avoiding this issue is to install a temperature controller, a device that allows us to regulate the air intake and keep the ambient temperature well within the optimal parameters, thus averting any difficulties caused by excessive variations in temperature. 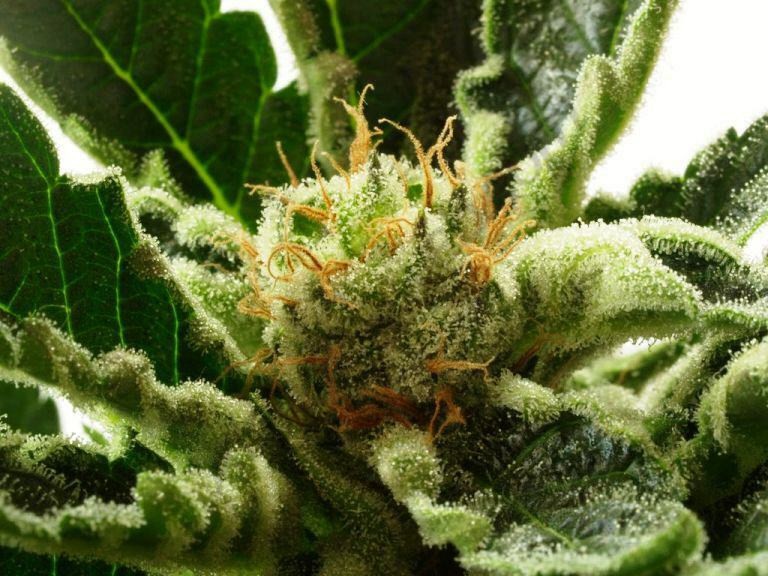 How does the cold affect cannabis plants? Cannabis varieties react differently to cold, although below a median temperature of 12ºC they are universally at risk of death. As with water, which at higher temperature contains a lower concentration of dissolved oxygen, once the air cools to below 18-20ºC the plant’s metabolism will slow down gradually and hinder or halt development. As the plant’s metabolism slows down everything becomes much less active. The bio-chemical and enzymatic processes required for healthy growth cannot take place and vegetative vigour disappears leaving plants small and weak. The root system cannot function as it should, rendering it unable to absorb adequate nutrition. This will have an obvious negative impact on yields, leading to very small buds and vastly reduced production. As previously mentioned, low temperatures will detrimentally affect the root system and the uptake of nutrients, particularly in the case of magnesium. This micro-nutrient is vital for the proper development of the cannabis plant and if the substrate is colder than 18ºC then this element is most likely not being absorbed by the plant. If, in addition to a low cultivation temperature, the growing medium is over-irrigated or water-logged, then the plant will be completely unable to take up magnesium, leading to visible deficiencies in the larger leaves, which even the application of magnesium in every watering will be unable to solve. As we can see, controlling the temperature of our grow is integral to a successful cannabis harvest and there are various options available to help us do this, adaptable to each grower’s needs based on dimensions, ambient temperature, lights used etc. 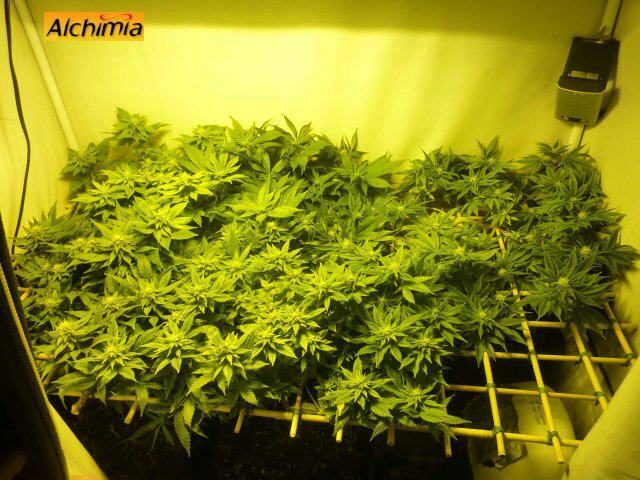 The most common solution to heating the grow space is to use an electric heater; however, this has it’s disadvantages, mainly it’s high consumption of electricity as usually devices of 1500-2000w are employed, but there are other problems with this type of heater, for example the drying effect it has on the air, requiring some degree of humidification, and the direct, non-radiant nature of heat distribution which makes it difficult to maintain the even, stable temperature that plants enjoy throughout the whole grow space. Another option to consider is a portable oil-filled radiator, similar to the popular wall-mounted electric heaters, but with wheels for mobility and convenience. These radiators are a good option but not perfect; their size makes them difficult to conveniently use in a regular grow tent and besides, the consumption is far from negligible at over 1000w. While it may be possible to rig something up if the heater won’t fit into the tent, using a large, well-sealed cardboard box and a small fan to direct warm air from the heater into the tent, it’s far from a permanent, practical solution to the demands of a small grow space. Of all the options available on the market today, the most simple and effective is to use a small sized tubular electric heater. This device only consumes a few watts of power, making it a very good option for those grow boxes with minimum floorspace of 0.60m2. 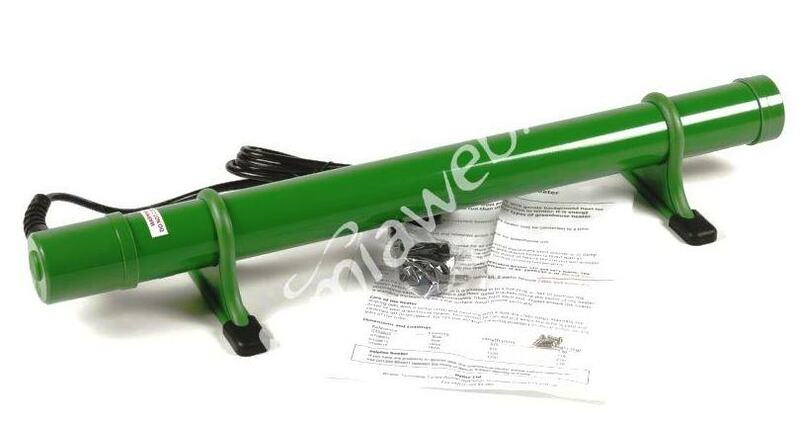 The 90w heater, 61cm long or its other version of 122cm and 135W both have IP55 rating, a kite-mark indicating resistance to splashes and dust ingress, making them ideal for using in a greenhouse or indoors. For the best results, we can place the heater on the floor of the grow tent, installing legs with adjustable height to raise the grow tray, or as a rudimentary method, use some empty plant pots under the tray to raise the plants off the ground and allow air to flow around the base. As the warm air is less dense than the cold air, it will rise and pass between plants until settling at the top of the cabinet. In order to not lose this heat and keep temperatures constant it’s necessary to halt the air extraction-fan for a few hours. We can easily do this with the help of a temperature controller programmed to switch the fan off when it reaches a certain temperature, and then activate it again when it drops below that point. Situating the heater underneath the tray has the added advantage of warming the substrate and root system, encouraging healthy growth and permitting greater vegetative vigour, in turn leading to a bigger and better quality harvest of buds. Another highly convenient option to consider if for some reason we can’t install a tubular heater is the use of heating cables of the type normally used in propagators for germination of rooting cuttings or in terrariums to acclimate reptiles to their artificial environment. These radiant cables are available in different sizes, enabling us to find different options to suit our growing needs. Being pliable, we can loop them around the bottom of the plant pots so that the entire root system is warmed and can expand with ease. For large pots, it’s recommended to employ a cable for each pot, or use it for two or three pots in the case of a smaller sized containers. As already mentioned, cold temperatures can be highly detrimental to cannabis plants, especially in their early stages of development. In this first period, the seedlings require 20-24ºC to grow properly; however, in the last weeks of flowering things are a little different. 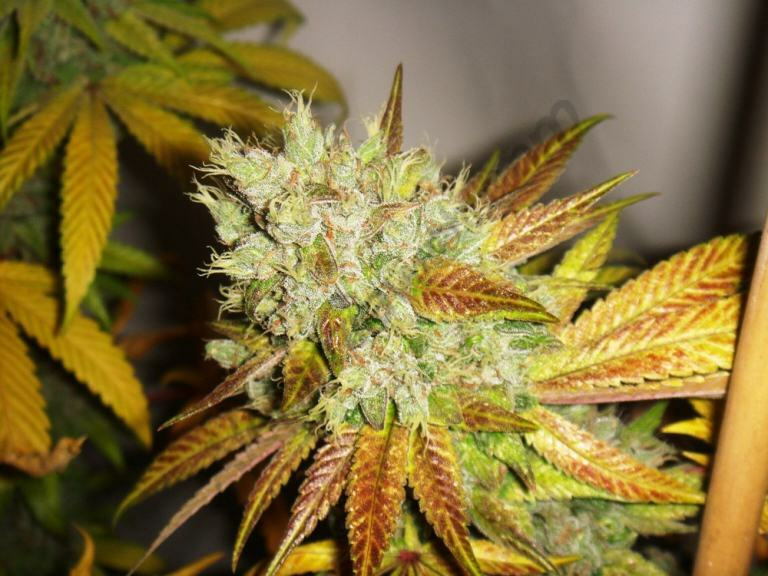 If the plant is flowering in a well-controlled growing environment, the genetics will be able to express themselves fully, blooming without problems and forming beautiful and elegant buds with a high resin concentration. The natural function of the resin gland is to essentially protect the plant and it’s developing seed from extreme conditions like UV rays, cold weather, pests etc, and this way it works to preserve the genetic reproduction (the seeds) and ensure the continuation of the line. Taking this into consideration, it is possible to find a way of taking advantage of cold conditions and, if the timing is right, harness the low temperatures to increase resin production in the flowers. 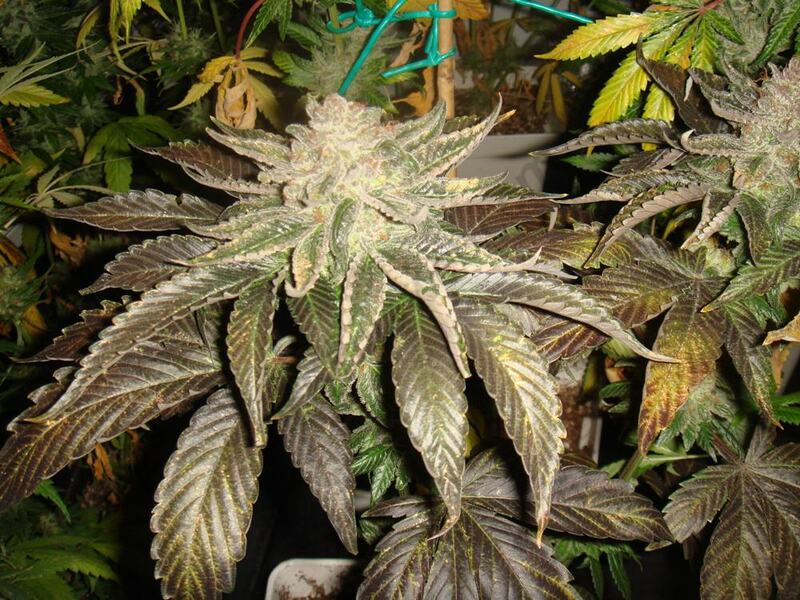 The cold, being a considerable stress upon the plant, triggers changes in the plant’s metabolism which, when they occur in the final stages of flowering, can lead to an increased resin production. If we gradually lower temperatures to around 16-17ºCduring the last two weeks of bloom, once the buds are fully grown and only need to mature, it’s possible to achieve a much greater and higher quality resin coverage in exchange for only a very slight sacrifice in production weight. It’s also worth mentioning that encouraging lower temperatures during the later stages of flowering will retain a higher terpene content and can lead to harvesting more aromatic and flavour-full flowers. Higher temperatures during flowering, drying and curing means that the evaporation and subsequent loss of terpenes can seriously alter and degrade the organoleptic properties of the buds produced. 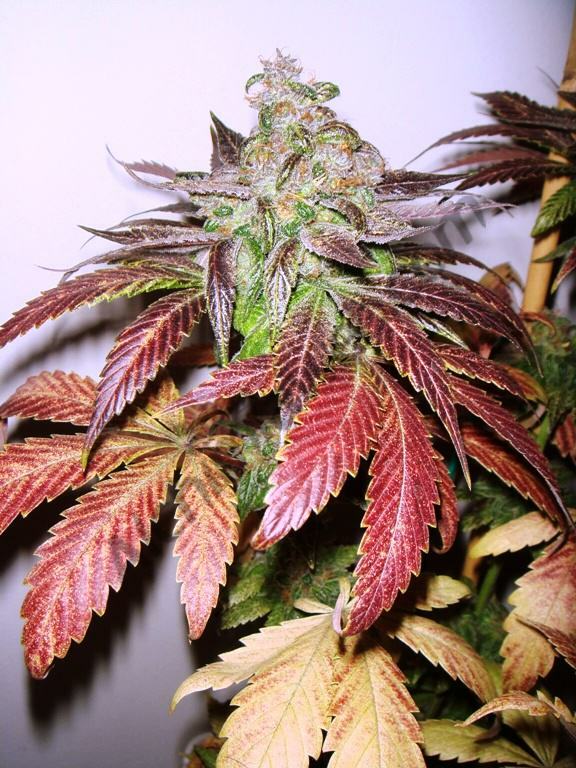 For lovers of bright colours another advantage of cold weather in relation to cannabis cultivation is the wonderful array of autumnal shades that the low temperatures provoke in certain genetics. Many plants will change the colour of their foliage to a beautiful deep purple, blue or red in cold conditions during the last weeks and when this is combined with the natural ‘fade’ colours of senescence the display can be truly spectacular and a fitting finale to a successful grow! Here we have a couple of examples of the color changes produced in different cannabis genetics, in particular those belonging to the Blue family of varieties. In these cases the low temperature at the end of flowering has affected the plants, provoking a very notable color change and an increased trichome concentration on the buds. 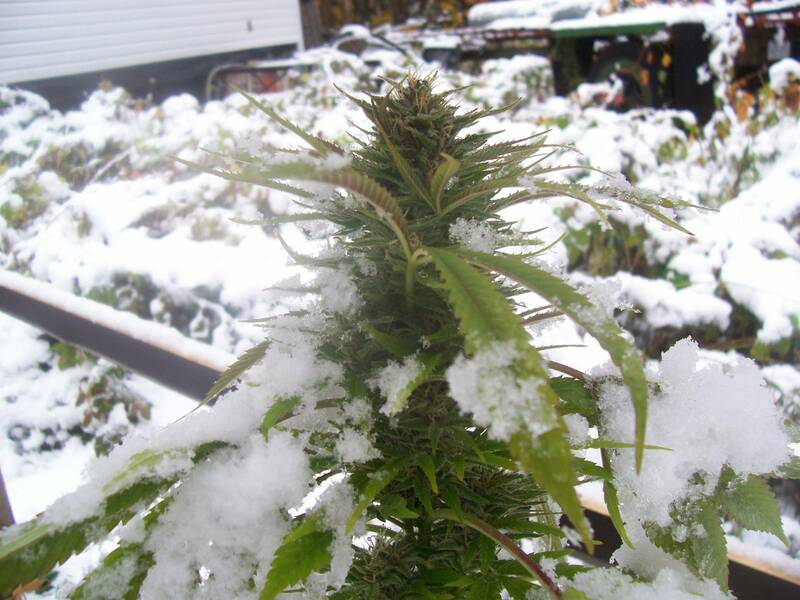 Resuming, it’s clear that if properly done, and at the adequate moment, cold temperatures can be used to a positive effect when cultivating cannabis; however, for normal cultivation, during the majority of the plant’s life cycle it is imperative to keep the temperatures within the parameters for healthy growth, between a minimum of 20ºC and a maximum of 26ºC. Hi Evelyn, thanks for asking your question. I’m not 100% sure what you’re asking, but if you mean the nighttime temperature during flowering, it should be around 20-22ºC to keep plants as happy as possible. I hope that helps! Hi Dean, a plant’s resistance to cold really depends on the variety you’re growing. Some can deal with freezing temperatures without any problem (not for long periods of time though) while others will start to show problems way before getting that cold. In your case you’ll have to wait and see, but it’s certain to have caused some kind of stress to the plants, you could try using an enzyme product of some kind, which can help the plants recover quicker and mitigate the effects of the stress. Investing in a small tube heater can really help these problems in the future. All the best, stay warm!! Hi, question for you. I have a DWC grow that was going lovely, started flowering – got to day 15 (lots of great explosive sites formed to grow flowers) then had a cold snap where temps dropped to 18 high /10 low and all growth stopped (plants stayed healthy green but no more floral growth developed) this continued for 3 weeks. Then managed to increase temps to 26/20 and growth started again – my question is this: will the plants finish as per seed catalogue guidelines with a much reduced yield or will they continue to full maturity albeit taking an additional 3 weeks of time (given the low temps induced dormant spell)? Bit of a weird question, due to a heatwave here temps are difficult to control in the day time, so I changed the cycle of the lights so they come on in the evening when the air temp is a lot cooler and switch off just before midday, I have fans and temp controllers, so I assumed everything would work ok. But that isn’t happening and I havn’t a clue why, this isn’t my first ‘Rodeo’ BTW, but there is a problem with the plants, they are very sluggish and some are stressed, causing what looks like an over fertilized condition, puzzled by this as they havn’t actually had any Nutes yet, I decided to investigate. It transpires the daytime temps i.e. without lights are almost 28 to 30 degrees centigrade! This brings me to ask the question, do plants need a drop in temperature to thrive, I’m not talking a radical drop but a temperature variation, like would occur naturally at night? Hi Anthony, thanks for your question, sorry to hear your plants aren’t happy. Those night time temperatures are a definitely on the high side, and that kind of heat will definitely reduce the quality of the end product, which will have a lower terpene content. We’d recommend trying to lower them to 23/24 if you can. 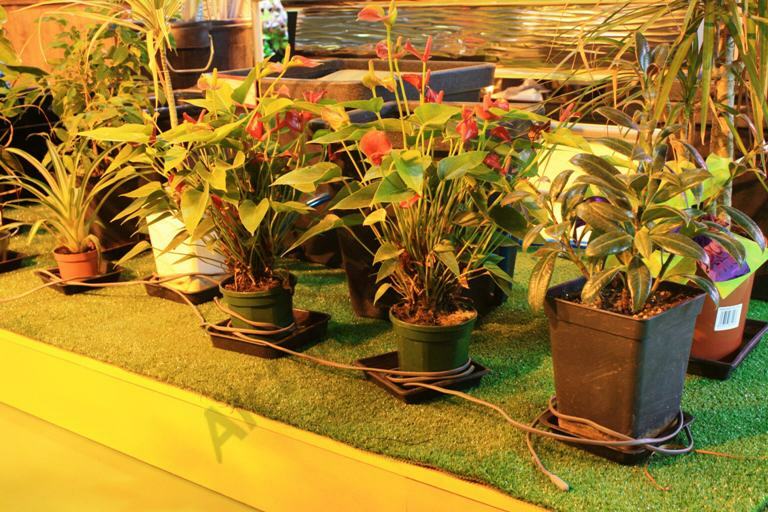 It’s unclear whether plants really need lower temperatures at night, usually growers face the problem of temps being too low, rather than too high. 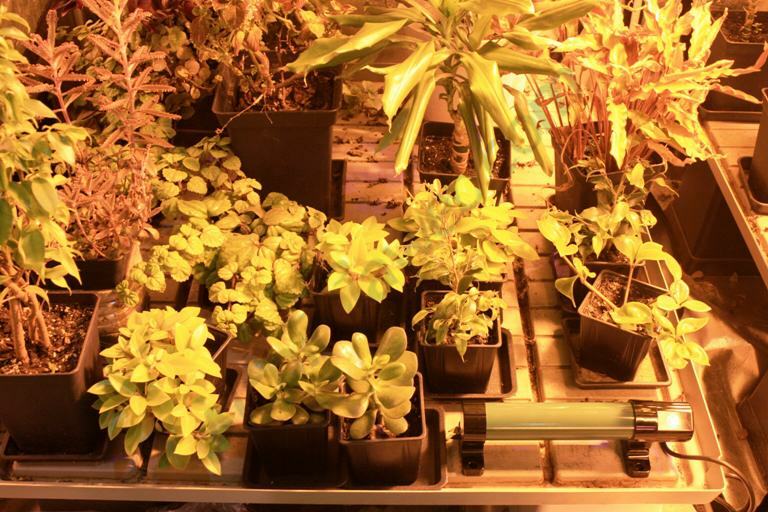 However, in the wild, the plants metabolism has evolved over millennia to deal with lower temperatures during the night, so it’s logical that plants will grow better and be happier with less stress in more natural conditions. I hope that helps, all the best and happy growing! Hi Tim great article! Very informative. I am growing for the first time in the Rockies of western Montana at an elevation of 3200 feet. Several questions. I planted three seeds of unknown strain in a large container good organic soil and natural fertilizer. Have had incredible results with one plant in particular. I am guessing given my growing zone is a sativa. I am looking for medicinal benefits to help ease my son’s seizures as well as recreational benefits out of this same plant. I have huge tight buds loaded with trichromes that I photograph each morning as soon as the bud is in full sunlight. The trichromes are mostly milky with maybe 5% still clear and none have yet turned amber. My plant is healthy and is turning a beautiful purple color with recent cool temperatures at night. Dipped to 2 degrees Celsius last night but still reaching 26 degrees during the day. I have several theories about my success I hope you can confirm or deny. There is less atmosphere at my elevation than at sea level to protect from the sun’s uv rays, does this increase trichrome production? Given the temperature range from a seasonal norm of 6c at night to 26c by midday for possibly another month what impact on yield and maturation will this temperature range have? I have read that cbd’s are most potent at a trichromes stage where they are 60% amber, is this true? Have heard adding molasses to water at this stage of bloom will increase trichrome production, is this true? Drone comparing daily photos I see what appears to be continued trichrome production or at least a thickening of them. I am hoping to harvest in two stages part when trichromes are at best for a recreational use and later for maximum cubs medicinal use, is this possible? Is this wise? Hi Dan, thanks for your comment, I’m so happy you’ve enjoyed the article! Yes, I think your theory is correct, trichomes are thought to be the plant’s protection from UV radiation, so it makes complete sense that they should be producing large amounts at your elevation, in the thinner atmosphere. Just think about traditional hash-producing countries like Afghanistan and Pakistan, where the best plants are grown high up in the mountains. Those place also experience a drastic difference between daytime and nighttime temperatures, just like your spot. As for any influence this may have on maturity, well I personally think that it will probably accelerate maturity, with this temperature difference being a natural process experienced by the plant over millennia. As for your question regarding CBD, that’s another matter. You say the genetics are unknown, so unfortunately there’s no way of knowing if the plants are genetically capable of producing CBD. Aside from CBD-specific strains, most of the genetics on the market will only have trace amounts of CBD, because for years cannabis breeding has focused on increasing the high, for recreational purposes. If you really need to be growing for CBD, then I’d highly recommend getting some high-CBD varieties, they are increasingly easy to find as awareness grows about medicinal cannabis. As for the two-part harvest, that’s a good plan, even without any CBD. The tops will mature first, you can cut them and then wait a week or two for the smaller, lower buds to mature and fatten a bit before cutting the rest of the plant. Hope that’s been some help to you, best wishes and good luck for the rest of the season, happy harvests! This is sorta for Dan Carte. Hello! I’m not a first time grower so I have a few years under my belt . I’m not an indoor grower I prefer outdoors. Elevation here is about 2900ft daytime temperatures are usually between 90 to 110* F. Nighttime temps range between 75 to 87* F. Until around late August then in September daytime is between 90 and 102* F nighttime down to 60* F. In my opinion the cooler temp at night is one of the best things that can happen to the plants. At this time of year all your growing is done they are just maturing. Since the plant starts feeling like it’s going to die because of the cooler temps it’s possible to achieve much greater and higher quality resin coverage. 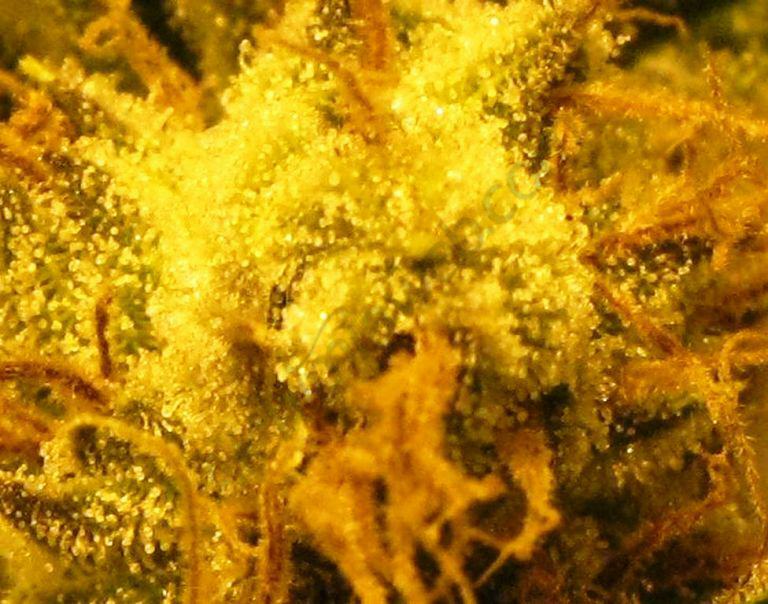 You don’t really want amber trichomes at that stage they start to deteriorate. Also what I do one week before harvesting is I split the stock and wedge a rock in it, then stop all watering and cover the plant with blackout material. I then wait 3 days take the cover off and wait about 4 to 5 days and harvest. The stem is empty and hollow and the resin is unbelievable. In my opinion our altitude is almost perfect for plants. I’ve never seen better grows anywhere. And I have tried the molasses thing and for all its worth, I didn’t really see a difference. Splitting the stock is amazing though. Happy growing!!!!! Hello. Well I live in north west Ontario Canada. Not the best cannabis growing climate. I did have early finishing photogenic phenotypes this year. But my main strain being fire og X Cinderella 99, now this being late September we usually can grow till mid oct in my greenhouse before snow starts to fly. Not this year, woke up to a light dusting of snow this morning. I put a new sheet of poly over top of my greenhouse to close it all up, my plants have beautiful stacked colas but are still at least two – three weeks from being at optimal harvest. I read in your article that resin and terpenes (which are off the hook now) get more and more prevalent. My ? Is will the only effect of these low temps I’m experiencing be with the final weight and not resin and terpenes? It’s my medicine and would hate too see my winters stash all go down the botritis hole. Will these low temps -4 at night +18 during daytime, cloudy, wet northern autumn weather. Hope the new plastic sheets will help retain heat and keep moisture off my flowers. Thanks for any helpful tips. Hi Jay, thanks for your comment. Well at least the plants are in a greenhouse and protected from the worst of the weather, but my main concern now would be adequate ventilation and air movement, especially if you’ve completely closed the greenhouse up with this new layer of plastic. If there’s any possibility of doing it, I’d put a fan or two in there to keep the air moving and avoid condensation on the inside of the plastic, which will definitely not help your fight against botrytis. Even better would be to add a dehumidifier too. Apart from that, yes the cold temperatures will restrict growth a little, but they shouldn’t affect the terpene or resin content, in fact the low temps will mean that the terpenes will be better retained, not evaporating off in the heat of the day. I hope that helps a bit, all the best for the next few weeks, good luck and fingers crossed for a happy harvest! I live in Southern Ontario and yesterday I found one of my bud rotting under yellow leaves. Outdoor grow. Cut out the bud and branch it was on. Overnight I covered the plant (Indica) with poly and this morning no additional rot. Weather forecast next week is cool and wet. Average 20c high 14c low. Also expected to rain every day but one. Should I harvest plant now. It seems to me would be a struggle to avoid more rot . Hi Thomas, thanks for your question. If the weather’s looking bad for the next week, it’s probably best to harvest as long as you’re happy with the maturity of the flowers. Have a look with a microscope and check the trichomes. If they’re mostly transparent then it’s not ready, but if they’re mostly milky coloured than you should be ok, some people like to wait to see 20-30% amber trichomes, but I don’t think you’ll have the luxury of time to wait that long. I think you’re right though, it’ll e a battle to keep the mould at bay, especially if it’s covered with plastic at night, which will create condensation and high humidity, the perfect conditions for more mould. If you wait much longer you may well lose the whole plant. Without being able to see the plant, I’d say harvest asap to salvage it. I hope that’s some help. All the best, good luck and happy harvest! I live in Colorado bad weather has hit 30 at night 40 during the day in week 8 still to early to pull according to the weather man we will have these temps for the next 6 days with rain . covered the plants with easy ups .that’s all I could think of .do you think they will make it? Would appreciate some advice. Hi Steve, thanks for your question, I’m sorry to hear about the bad weather. You’ve definitely done the right thing by covering the plants and protecting them from the rain. 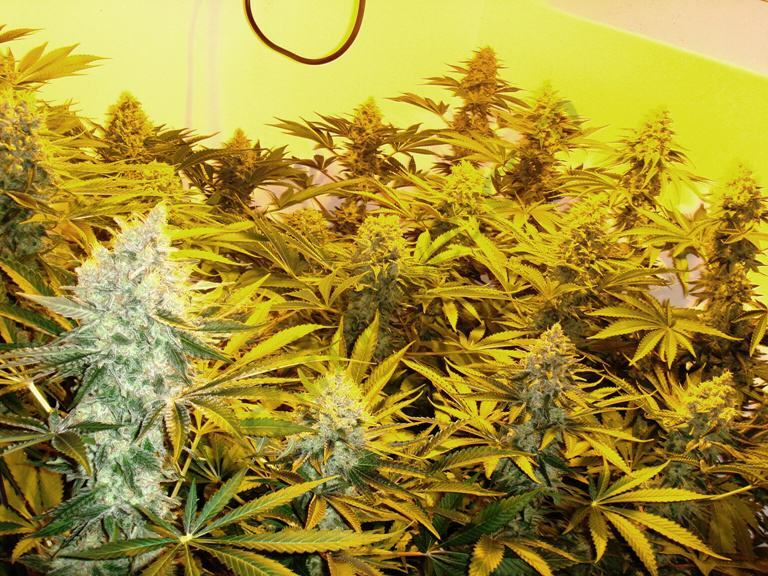 By keeping the majority of the water off them you’ll do a great deal to help prevent bud rot. It’s also a goos idea to try and increase air movement, either by using some fans if possible, or by removing some of the lower leaves that aren’t getting much sunlight. Apart from keeping a close eye on the buds for any sign of botrytis, and removing any you find, I don’t think there’s a great deal more you can do at this point. Of course if you start to see a great deal of bud rot then you’ll have to make the decision whether to pull the plans slightly early or run the risk of losing the whole crop. It’s at this time of year that our choice of genetics can make or break the whole season. All the best for the next couple of weeks, I hope the weather improves and you get a great harvest! If the temperature drops below freezing while the hemp is still in the ground is it still viable? I’m in Colorado and growing cherry and super cbd strains. We got caught by early cold snap. Hi and thanks for the question. Hemp ought to be more hardy than regular drug cannabis, but it still won’t tolerate extended periods of extreme cold. If it’s just a short cold snap then you’ll probably be fine but if it’s cold for a few days to a week then it’ll start to have an effect on the plants, slowing them down and stopping growth, and you may see the appearance of some mold or other deterioration in the flowers where frost has damaged cells. That said, a lot depends on the position and topography of the site, some places will suffer worse than others, if for example you’re growing in a low dip or a bowl, frost will be more severe, but on a south facing hillside with good solar exposure and air movement you may see no effect at all from the cold. My advice is to keep a close eye on the weather forecast and carefully check the plants for damage and be ready to harvest at the first sign. If there are local farmers you can ask they’ll probably be able to offer better advice than we can. All the best and happy harvesting! I live in East central mn and I’m wondering what I can do to keep my plants going till end of October to get the most out of them. Strains are unknown and I’ve only been giving them fox farm big bloom nutrients from the start of flowering once every week. Started by giving 3 cap fulls per 3 gallons of water for 4 plants. Plants are from 3 ft being the shortest one up to 6’6″ being the tallest. The two shorter two have become very dark purple bur still some green inside by stem and centers of inner buds. Tallest two are still green no color change at all it seems. But after the other night all the fan leaves look dried out and wilted upward and goimg towards the plant. The puprle two are the worst and all i have for a greenhouse is 4 mil thick plastic sheeting. It came as its about 2.5′-3′ wide and about 6′-7′ long. The plastic was only 3′ wide so its in two sections to make high enough to cover all but 6″ of tallest plant. Than a 3′ section over the top. I tide the sheets together at all the seems but left vents open all around the sides for some air flow. I dont have a micronscope to check trichomes and its been very cold and rainy the past 1-2 weeks. If I’m gunna end up harvesting early is there anything I can do right now to make the plants produce more trichomes and highten the terpene content? And is there anything I could do to make my slapped together makeshift greenhouse better at protecting the plants and the root systems which is in the ground not pots. Is it possible to dig them all up? And if I’m right around the corner of harvest cause of the climate can I take the tops and the other buds that are closer to maturity and leave the smaller ones to mature more and faster? Sorry for all the questions but its my first grow on my own and trying to get the most possible out of them in quality since I dont think they were able to fill out 100%. I’m guessing they should be as big as pop cans or end of baseball bats but they are more like a glass coke bottle or the bottom of a baseball bat that keeps your hands from sliding off. Not as frosty as I wouldve thought so anything that 100% works to increase terpenes and trichome content is much appreciated. Hi Dan, thanks for your comment and question. I’m glad your garden is doing well this year. At this late stage there’s not much you can do to improve the THC or terpene content, apart from letting plants flower for as long as is possible in the bad weather, flowers that are harvested before they’re mature won’t have the same fully developed terpene profile or the same effect as properly finished buds. At this stage I’d personally just give them water only until they finish, that way you’ll at least have good tasting and clean burning weed that won’t be full of excess nutrients at harvest time. Adding more nutrients or bloom boosters isn’t a good idea at this stage, early in flower is the best time to be thinking about these things, not just before harvest! So, if you’re expecting frosts then you’re doing the right thing by covering your plants. It’s hard for me to visualise the setup you’ve got going on with the plastic to advise you but if I’m honest, anything other than a proper framed greenhouse/poly tunnel is going to be a bit of a botch job and probably won’t stand up to wind and rain very well. The best thing is to secure it as well as you possibly can, and if there’s an issue with the height of the tallest plants then maybe try gently training the top of the plant and tying it down a bit to lower it, if it’s the difference between being protected or not. As for protecting the roots, well they’re definitely better off in the ground than in plant pots at the stage, they won’t be as affected by the frost but you could also add a heavy mulch layer of straw or hay which could help to buffer the cold temps. Also piling some hay baes around the base of the planted area would help to keep temperatures higher in the root zone, and prevent the frosty air from reaching the plants. Digging up the plants will shock and stress them to much and they’ll most likely stop growing and maturing altogether, so definitely not recommended! You can definitely harvest the top buds first and then let the lowers fatten up a bit before chopping them, that’s always a great idea if time allows for a two-stage harvest. The size of the buds will depend on many factors, primarily the genetics (so it’s vital to invest in good seeds or clones rather than planting any old thing and hoping for the best), but also nutrients, solar exposure and irrigation can all have a huge effect on bud size. In short, the better you grow, and the better the genetics you grow, the more you’ll harvest. I hope that’s some help to you, all the best for the rest of the season, happy harvesting! Hi, I am waiting to harvest my first grow in western Colorado at 7000 ft. We are in a canyon so a little less sun. I have Northern Lights Indica and Blue Dream Sativa. My trichromes are mostly white on both varieties but waiting for amber. The temps have been getting down to 30 deg F at night and the Indicas are turning purple but none of the plants look stressed. I have a heater that keeps it at 30 deg. I am wondering if I can leave them in the ground to dry, they are in a makeshift hot house with plastic to keep them protected from frost and wind. I read its good to cure them slow so wouldnt it be better to allow them to cure in the ground as long as they dont reach the point of being overly “ripe” where the thc will start dropping? I also thought it would allow the branches I pollinated to devevelop more mature seeds. Your thoughts would be appreciated. Hi Patsy, thanks for your comment. I wouldn’t recommend doing what you’re suggesting. The plants will continue to ripen far beyond the point of optimum maturity, so you’ll end up with mostly amber trichs and a really heavy, stoney effect, although that may be exactly what you’re looking for! Also, drying cannabis in a light and warm environment such as a greenhouse will degrade the THC and the terpene content, there’s a reason we always recommend drying in total darkness in a cool, but not too dry room. Personally I’d cut the plants at your desired point of ripeness (Personally I prefer it with very few amber trichomes) and if possible leaving the pollinated branches to mature further (always a good idea for seed production, as immature seeds are useless). Then move the harvested plants to a dark room for drying. Slow drying involves hanging plants in rom with a RH of 55-65% and temperatures of 15-20ºC for 2-3 weeks. I hope that’s helped, good luck and happy harvesting! Heres a question for you. If you harvest freah flowers with seeds in them and freeze before drying would it sterilize the seeds? What about at -30f ? Hi Josh, I’m not sure about sterilising them as such, but I think it would mess them up pretty badly. If they’re still fresh then I wouldn’t expect them to be still viable, I think that freezing them with moisture still present would result in a massive degradation of the cells inside. That said, seeds that have been properly dried will be able to be kept in the freezer for long term storage. I hope that answers your question, all the best! Hi Brad, I’m happy to hear your plant is doing so well in the cold weather, some cannabis genetics are much more able to deal with these types of temperatures than others, and yours seems nice and hardy. In your position I’d simply keep a close eye on it, and as soon as you see any signs of it suffering from the cold, then I’d start thinking about harvesting. It’s a balance between cutting too early and losing some flowers to possible mould issues. What temp does the water I am giving my plants need to be? I had been giving them room temp and everything is good but I’ve read that watering them with cold water, not freezing just like out of the fridge, will increase trichome production. Is any of that true or would I be hurting my plants? I did water one with cold water that has been in flowering stage for 9 weeks. It’s a sativa and the trichomes are still clear. And the colas the next few days did seem to have ALOT more trichomes. Hi Tim, thanks for the question. I’ve definitely heard of people doing a cold water flush for the last week or so of flowering to increase trichome production. Putting cold water onto the roots is always going to cause some mild shock, and it won’t do the microbial life of the soil many favours either, but during the last few weeks as the plant s winding down to harvest that is of lesser importance, so I don’t see any reason not to try it. Whether it works or not is a different issue. To find out if it’s just another stoner myth (as I suspect it might be) you’d have to run the same clone in the same grow space in the same conditions, but flush one with cold water while you treat the other normally. Then you’d be able to see if there’s any notable difference between the two. If you do try this, please let us know how you get on. All the best and happy growing! Howdy , growing pineapple chunk in southern Australia, outdoors , plants are into 2-3 weeks of flowering , but the nights are now becoming quite cold, is it possible to move indoors where there are plants at 18-6 hour light ratio , would this be too confusing for plants , which outdoors probably are getting 12-14 hours of light per day. The weather will continue to decrease in temp as the days go by, love to here what your view is ? Hi Jill, thanks for your question. I definitely wouldn’t advise moving the plants indoors if the lights are on 18/6 as this will halt the flowering process and provoke re-vegetation which will really stress them (and you!) out, and they’ll take a long time to readjust when you put them back outside again. At this point, the best you can do is to give them some kind of shelter on cold nights, even if it’s as simple as moving them next to a building for extra warmth and draping a horticultural fleece or a sheet of plastic over them (although fleece would be better as it won’t cause condensation). But more than anything it’s vital to keep them away from light sources that could interrupt the natural flowering cycle, so street lamps, exterior lights on houses, billboards etc are all things that must be considered. I hope that helps, all the best for the rest of the season and happy growing!